I just received a copy of, 'The Power of Home Numbers' by Jesse Kalsi and had a chance to read it over the weekend. Jesse Kalsi specializes in guiding people to the right home for them thru his method of numerology combined with astrology. Being in the real estate field as well,this comes in handy to make a place a better fit for the would be buyers to thrive in their new homes or make their current home a more prosperous and enjoyable place to live. The book is filled with hundreds of examples and stories of addresses and what those numbers were deficient in and how to patch a less than perfect address to a better number.Add the astrology aspect of each of the planets being represented by a number and the energy of the planets helps put a more in depth spin on deciphering your address code. According to Kalsi,it's not that easy and many factors go into his method of interpretation. I found it an interesting read that added and confirmed what I already knew from years of self study of the basics of numerology.I was not familiar with the aspect of adding the astrology method to the equation but probably would have been good to know this in the past when I moved or purchased real estate. If you are a newcomer wanting to try it out for size,you might want to wait for a future book from Jesse or get a reading from him.I hear he's fabulous! I especially enjoyed the chapter on political leaders and addresses. Historic murals from across town, a delicate textile from across the country, and a photograph that traveled around the world, literally - sometimes it really does feel like we see it all at The Conservation Center. 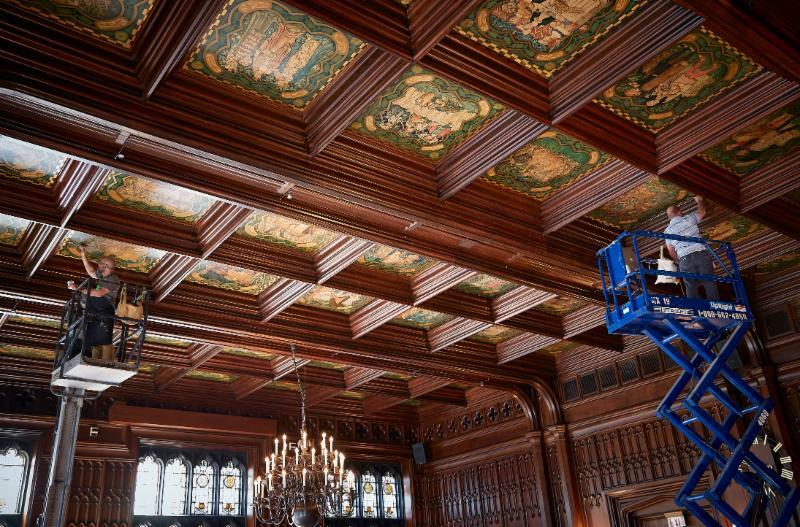 In this month's newsletter, we'll take a look inside the historic University Club of Chicago and learn about the conservation of Chicago artist Fredric Clay Bartlett's mural. Next learn about a Shaker bonnet and the inherent complications of silk textiles. 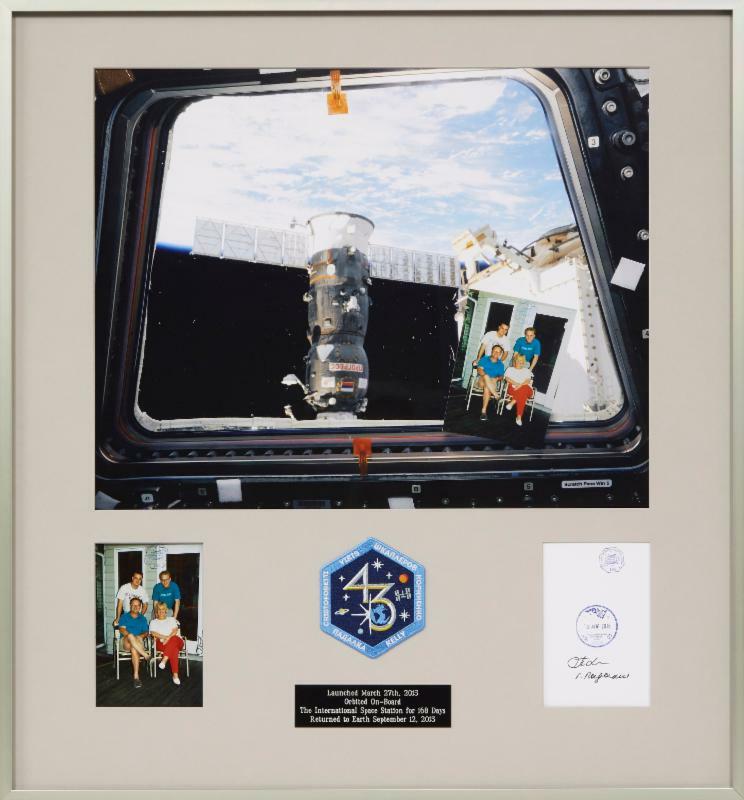 Lastly, we voyage to the International Space Station with a family photograph that took a once in a lifetime trip. Happy reading! The conservators at The Conservation Center had the rare privilege to conserve a mural in one of Chicago's historic buildings. The University Club of Chicago is a private social club that was founded in 1887 "by university graduates who wanted a special place where they could enjoy intellectual pursuits." The Club's current building was constructed in 1907-09 by renowned architectural firm Holabird and Roche, and with its distinct Neo-Gothic facade, it still stands out today amongst the buildings along Chicago's Michigan Avenue. For the interior spaces, the Club hired fellow member and Chicago artist Frederic Clay Bartlett (1873-1953) to design the interior decor of the club, which included such original artwork as Bartlett's 56-panel mural on the ceiling of the Club's Michigan Room. Traditional and simple, yet beautifully constructed, the style of this Shaker bonnet may lead you to think that it is at least a hundred years old, if not more. 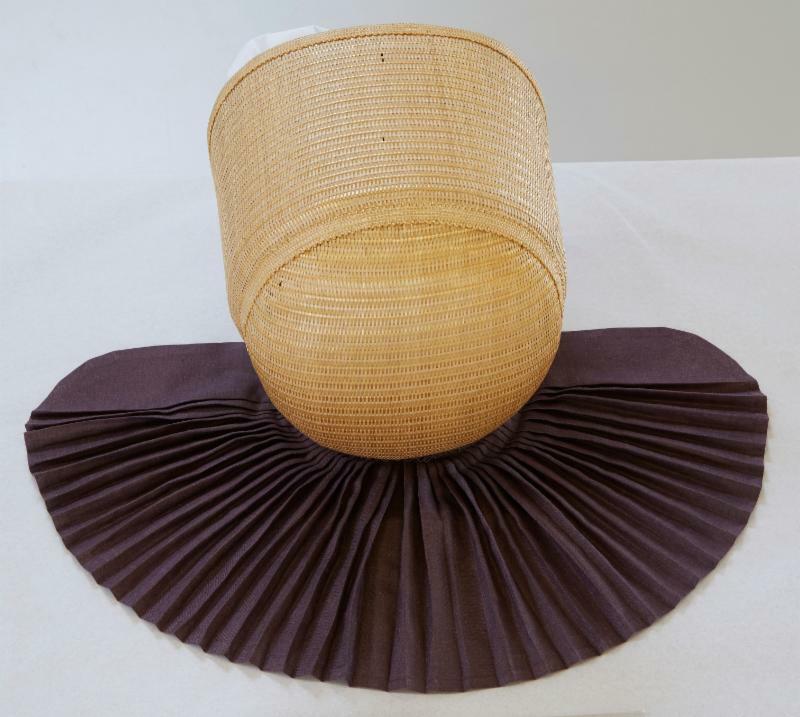 Though reminiscent of styles popular in the mid 1800s, according to the owner, "This bonnet belonged to one of the last surviving Shaker sisters at the Canterbury Shaker Village in Canterbury, New Hampshire. It was sold after she passed away, many years ago." The last Shakers at Canterbury Village might not have passed away as long ago as you think. Eldress Bertha Lindsay and Sister Ethel Hudson, the last two Shaker sisters at Canterbury Village, passed away in the early 1990s. 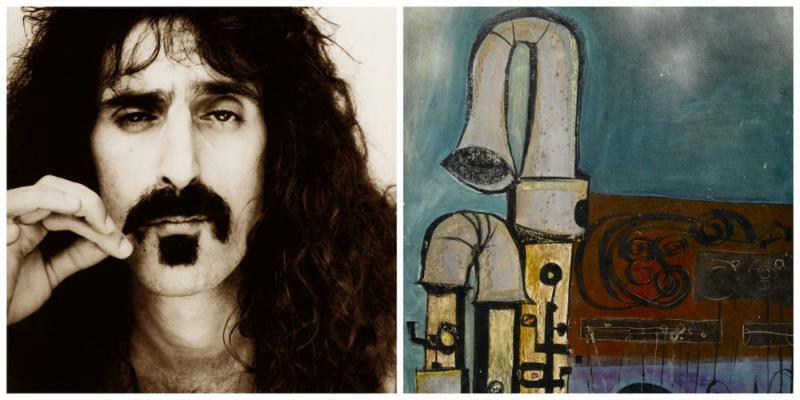 Heather Becker was recently featured speaking about artist Frank Zappa in a July 2016 Accent article. Click HERE to read the full story!